The US National Science Foundation (NSF), which owns the observatory, wants to offload the facility to free up money for newer ones. In the coming weeks, it will ask for ideas about how Arecibo might be managed if the NSF reduces its current US$8.2-million annual contribution. By May, the agency plans to release a final environmental-impact statement, a federally mandated analysis of the effects of various scenarios—from continuing to run Arecibo to mothballing or even demolishing its iconic dish. Soon after that, the NSF will decide which path to take. Arecibo advocates are not going to let the telescope die without a fight. On 4 January, they pressed their case at a meeting of the American Astronomical Society in Grapevine, Texas—arguing that Arecibo is putting out some of the best science it has ever done, and that the NSF is moving too quickly to divest itself of an astronomical treasure. Arecibo is playing a key part in illuminating the mystery of fast radio bursts, which are emerging as a completely new class of celestial phenomenon. And at the astronomy meeting, observatory scientists revealed a previously unknown contributor to the Universe’s cosmic microwave background glow—cold electrons—plus a pair of pulsars that has surprisingly erratic radio emissions. NSF officials agree. But they say they need money for new projects such as the Large Synoptic Survey Telescope, which is under construction in Chile. A 2012 review of the NSF’s astronomy portfolio recommended cutting support for some of its smaller and older facilities. 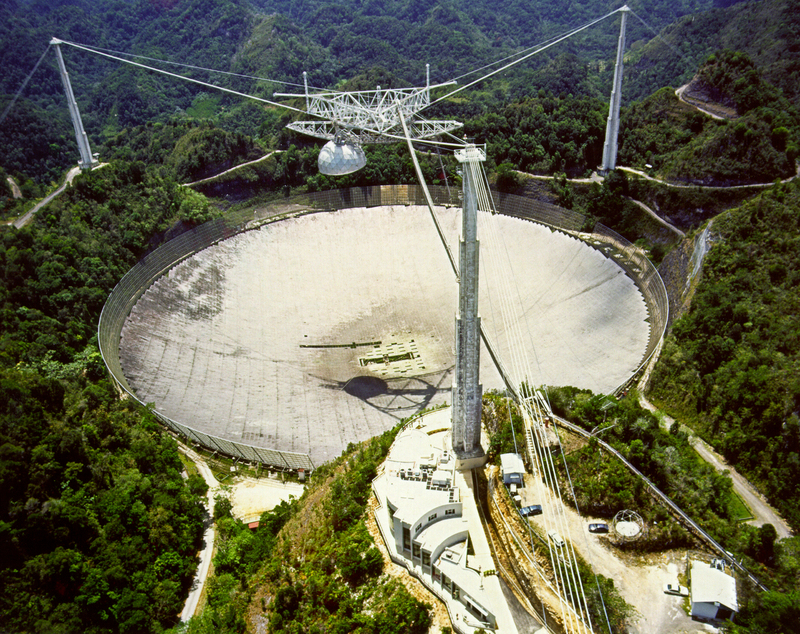 Although Arecibo was not among them, the report recommended that the NSF evaluate the facility’s status later in the decade. The US National Science Foundation is planning to divest itself of older telescopes to free up money for newer facilities. This article is reproduced with permission and was first published on January 10, 2016.